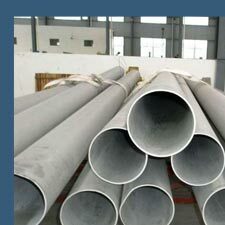 We are dealer and distributor of Stainless Steel TP 317L Square pipe. 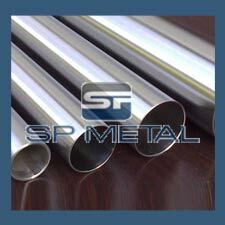 SP Metal is India's 5th largest Stockholder of JIS SUS 317L pipe, SS 317L class pipe, 317L Stainless Steel Hydraulic Pipe. 317L Stainless Steel Pipe is a balanced austentic Steel which is widely applied and versatile in wide spectrum of products, finishes and forgings. The chemical composition, weldability, oxidation, mechanical properties and corrosion resistance allows this austentic steel to perform better at relatively low cost. The austentic steel performs well to hardening by cold work. SP Metal is committed to upgrade the capabilities of its technical and administrative staff through formal training and continuous technical quality awareness. Our all ASTM A312 TP317L Stainless Steel Pipe are tested in accordance to internationally recognized standards or our own more stringent internal test procedures, which is developed considering the harsh field conditions. In addition to this we also offer specific testing to our client’s requirement. We can meet most ASME, ASTM, and other specifications, and can cross-reference to most international standards, including full 3.1/3.2 Certifcation and NACE requirements. In order to guarantee these standards, we are certified in accordance with the strict guidelines of ISO 9001:2008. 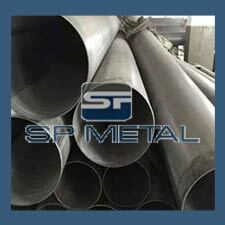 We are Manufacturers & Suppliers of Thin wall stainless steel 317L pipe in India. Looking for trusted dealer & distributor for Thin wall stainless steel 317L pipe in India? Information for those interested in buying Thin wall stainless steel 317L pipe. India’s Largest stockholder of SS 317L Thin wall Pipe offer best price in India. We are Manufacturers & Suppliers of ASTM A312 TP317L Stainless Steel Polished Pipe in India. Looking for trusted dealer & distributor for ASTM A312 TP317L Stainless Steel Polished Pipe in India? Information for those interested in buying 317L Stainless Steel Polished Pipe. India’s Largest stockholder of SS 317L Polished Pipe offer best price in India. We are Manufacturers & Suppliers of ASTM A312 TP317L Stainless Steel Decorative Pipe in India. Looking for trusted dealer & distributor for 317L Stainless Steel Decorative Pipe in India? Information for those interested in buying Stainless Steel 317LDecorative Pipe. India’s Largest stockholder of 317L SS Decorative Pipe offer best price in India. Range of ASTM A312 TP317L Stainless Steel Pipe according to ANSI/ASME 36.19M - Stainless Steel Pipe. ASTM A312 TP317L Stainless Steel Pipe as per #4 Polish, #6 Polish, #7 Polish or a #8 mirror finish. Stainless steel polished pipes can also be cut to size. 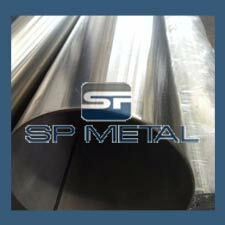 Bevel ASTM A312 TP317L Stainless Steel Pipe to prepare for welding or other processes. Hone pipe using a precision abrasion process in order to obtain a desired finish or close dimensional tolerance. 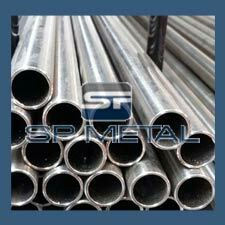 Above table represents that we keep in stock 317L Stainless Steel Pipe, SS 317L in form of Pipe. Other sizes can be made available on request.